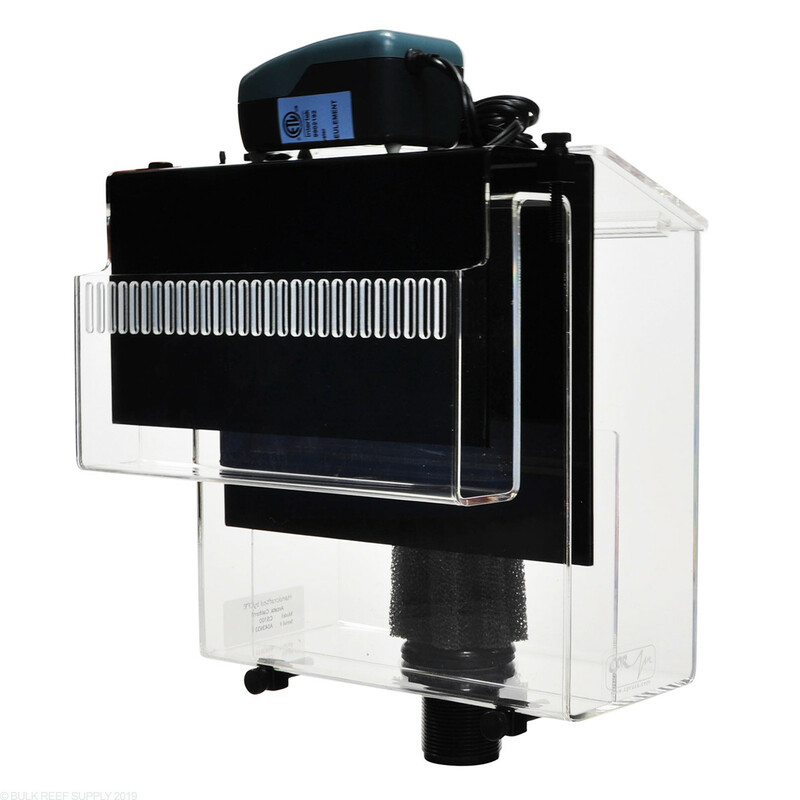 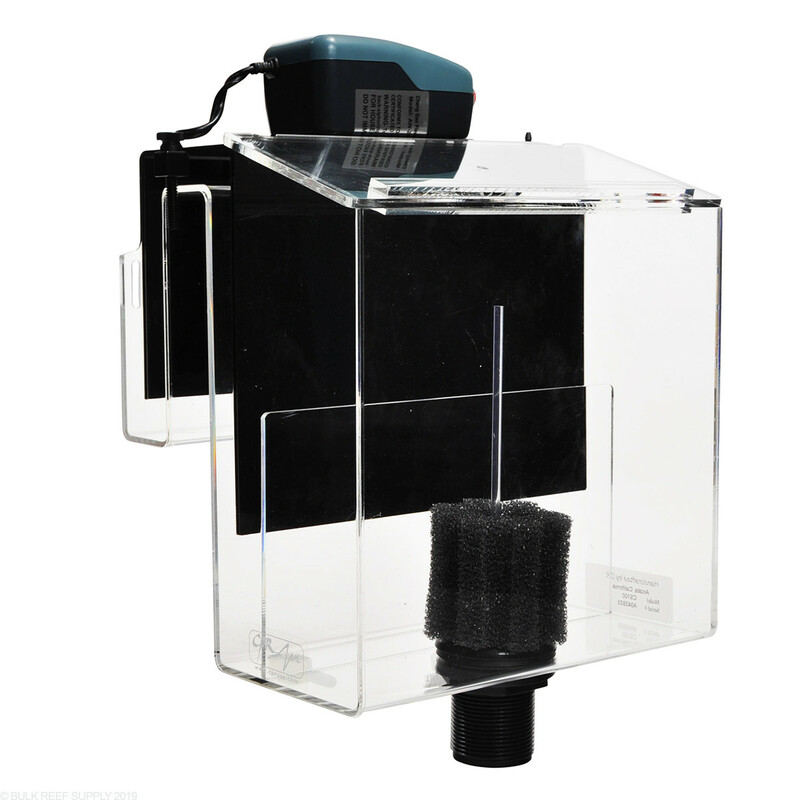 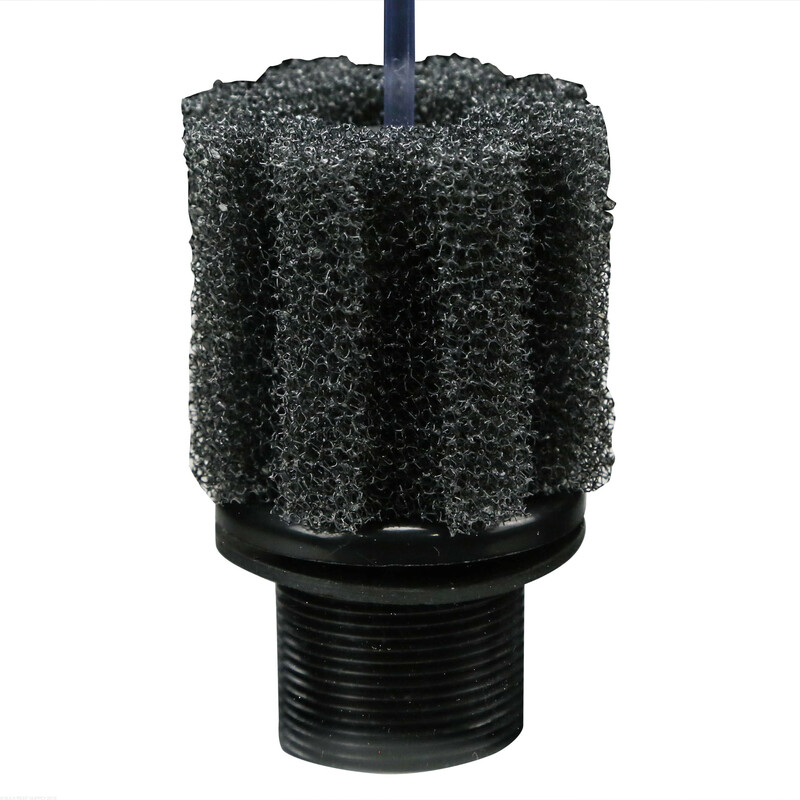 A built-in overflow is the most efficient method of draining aquarium water to a filter. 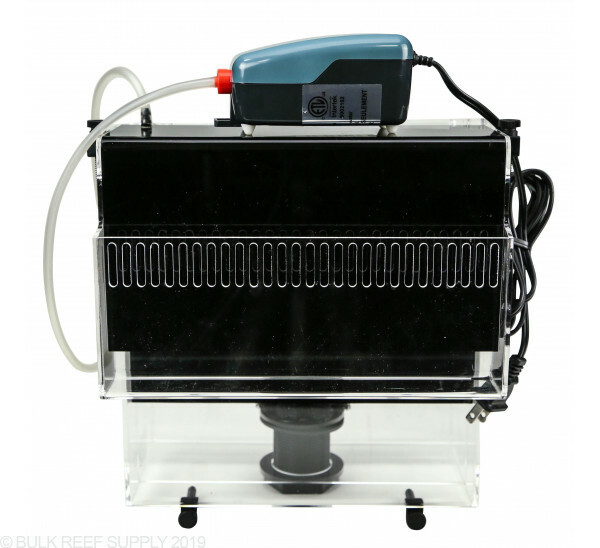 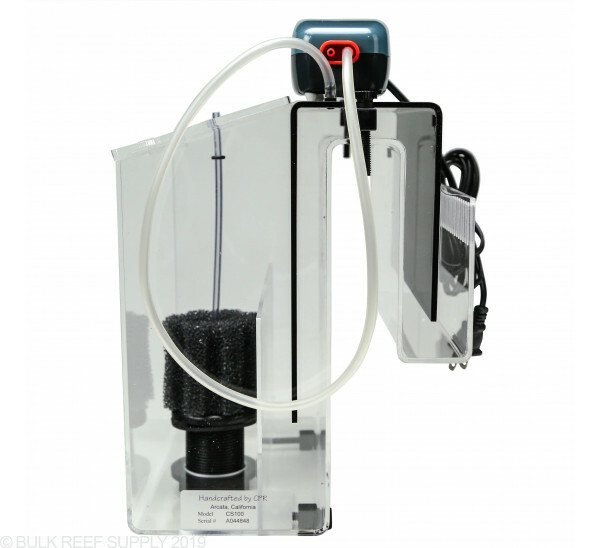 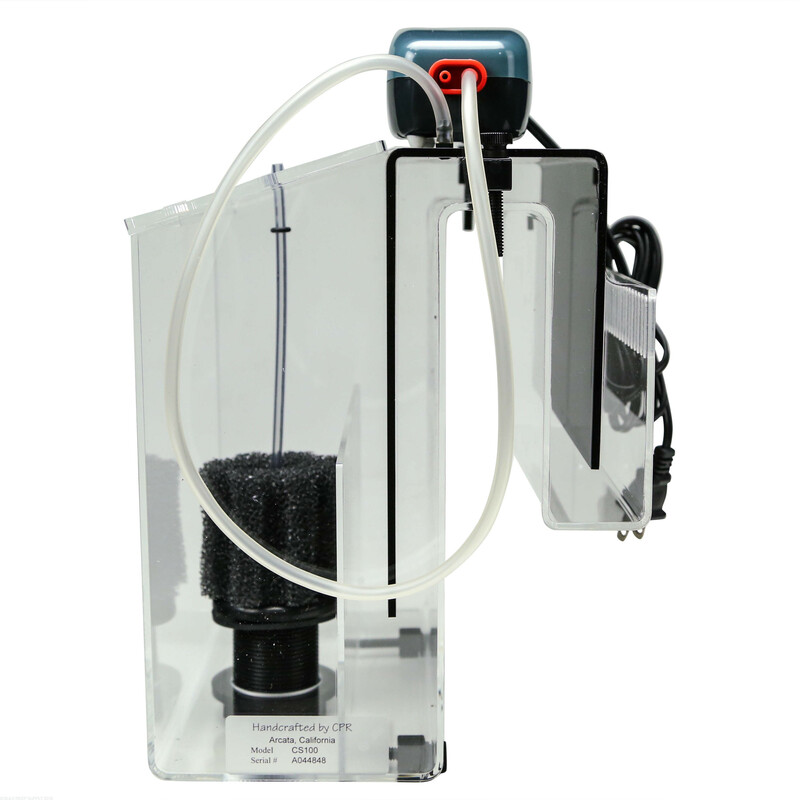 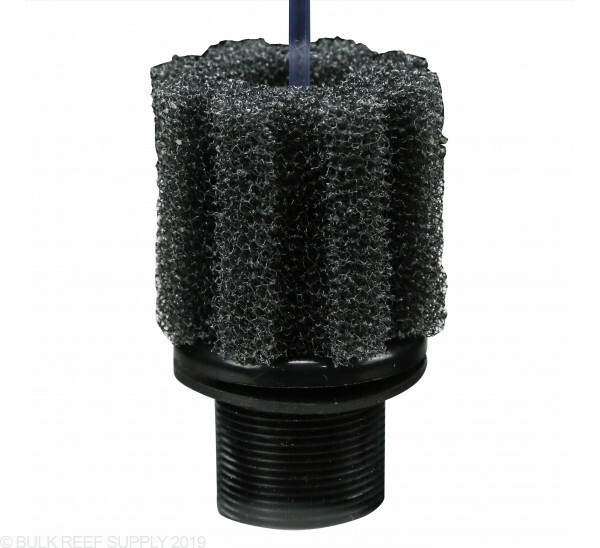 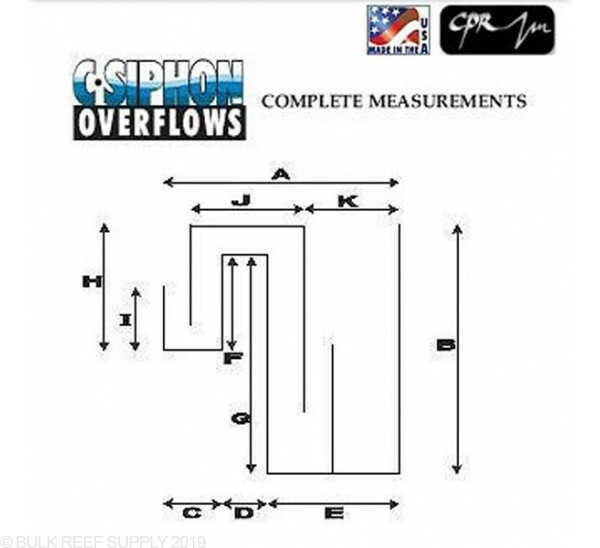 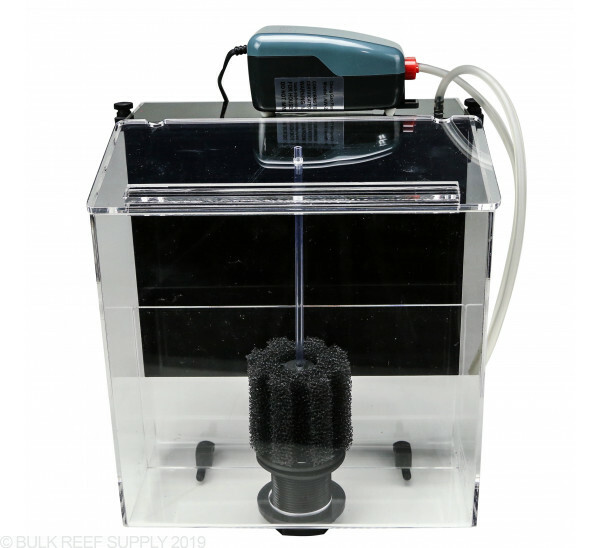 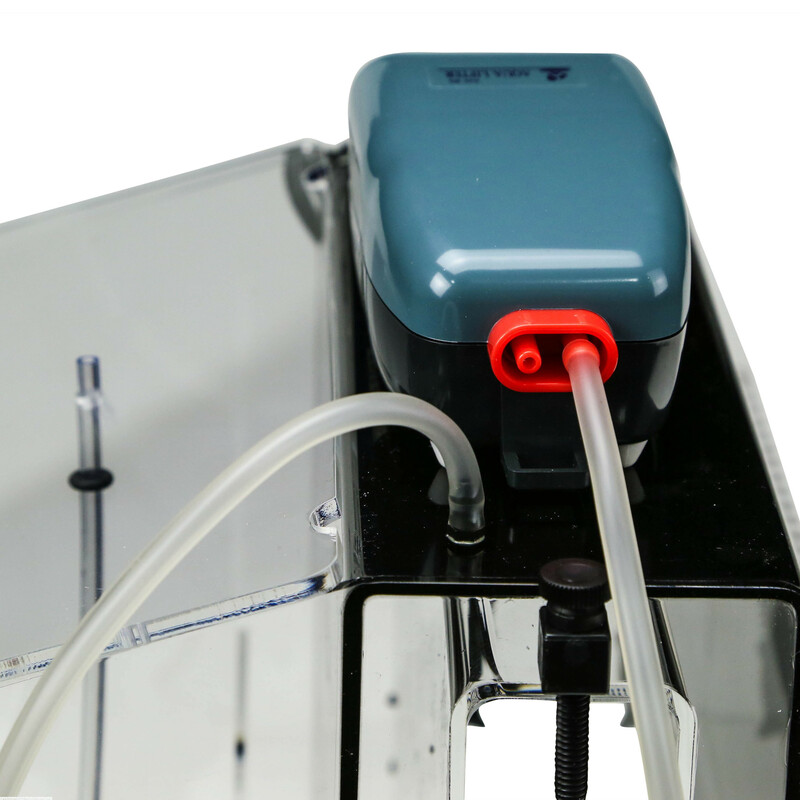 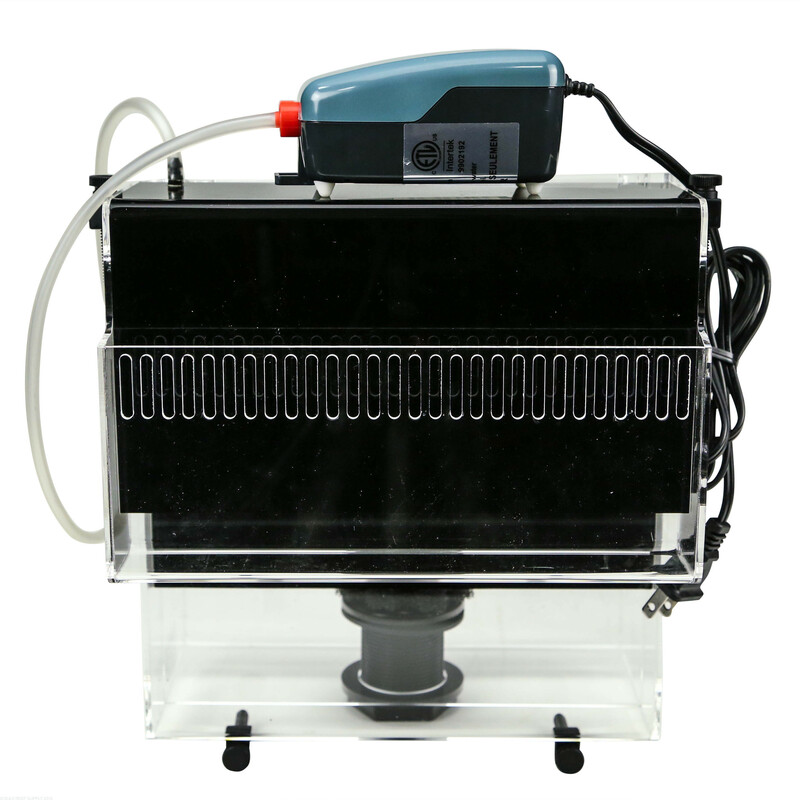 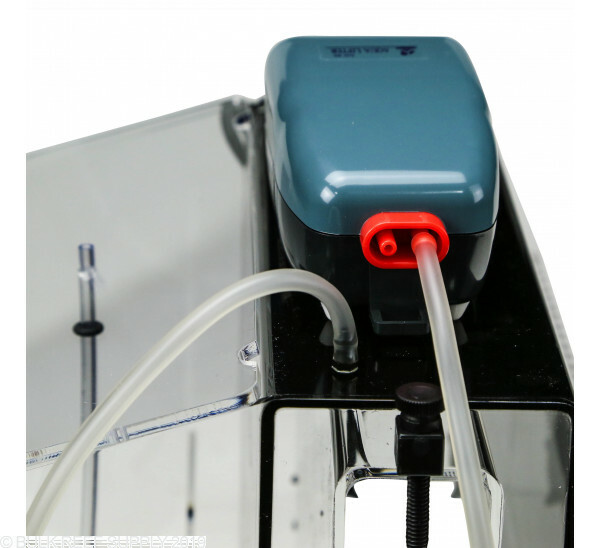 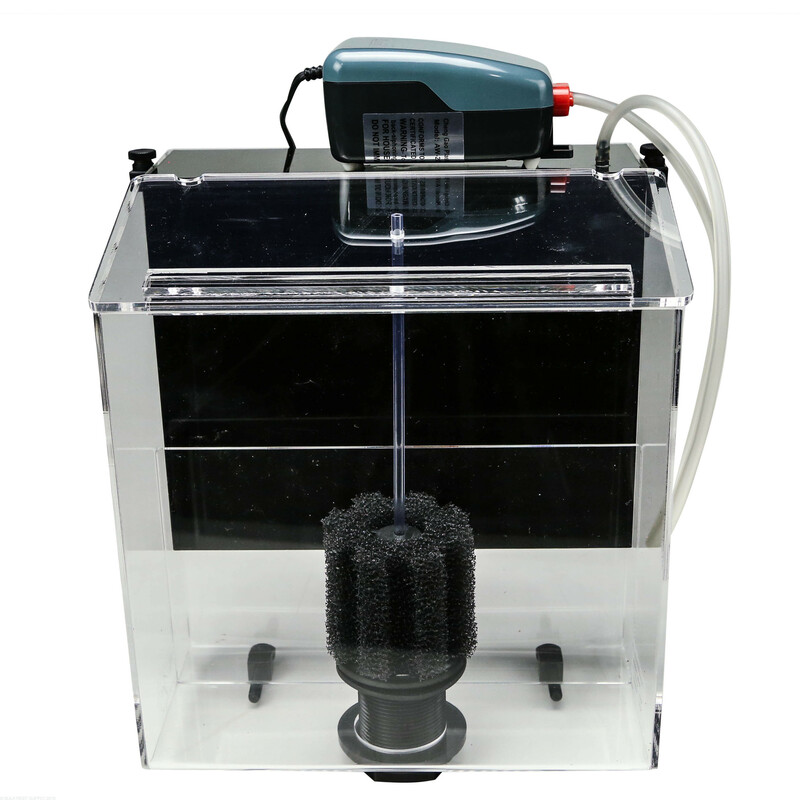 If your aquarium does not have built-in overflow, CPR Continuous Siphon Overflows/Prefilters are the best means of getting water from an aquarium to a filter system. 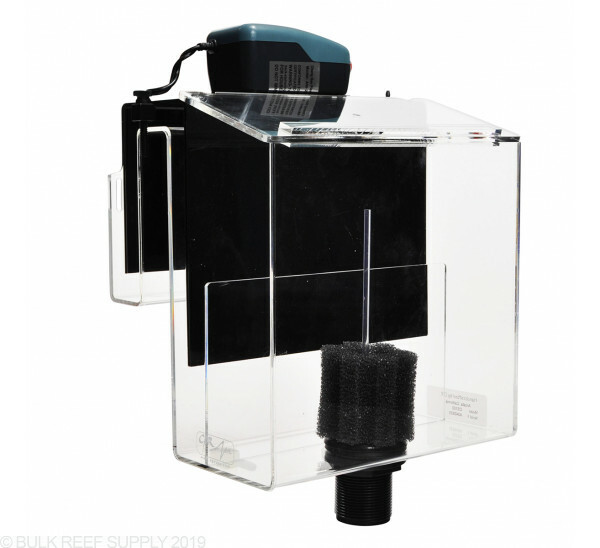 They quietly skim up to six times more water than units with tubes. 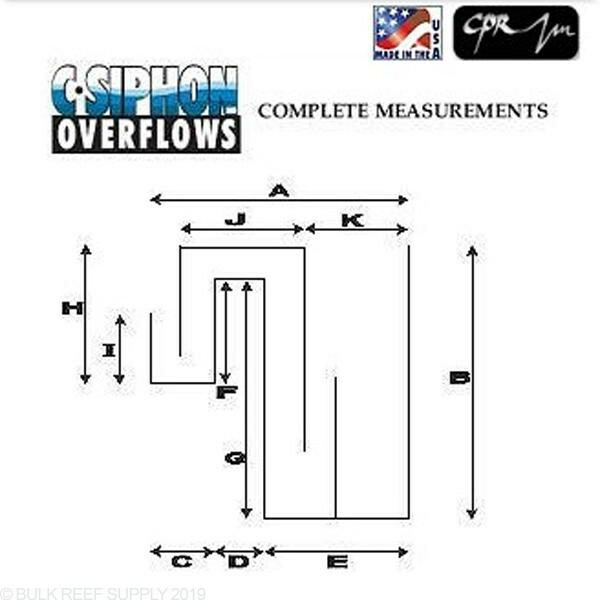 Dimensions (see photo): A: 7.5", B: 9", C: 1.75", D:1 3/8", E: 4.5" , F: 5 1/8", G: 9.25", H: 6", I: 3.25", J: 3 1/8", K: 3.75"